Rabies is a high profile/low incidence disease. It is a virus that resides in the saliva of infected animals. It is normally transmitted by a bite or exposure to the saliva of dogs, raccoons, foxes, bats, skunks, cats, coyotes, or other carnivorous mammals. Birds and reptiles do not contract rabies. Any mammal could contract rabies but it would be rare or unlikely in rodents, opossums, rabbits, and deer. Small animals like mice, chipmunks, squirrels and rats typically die of the bite wound before the virus can run its course, therefore rendering these species highly unlikely to be rabid. Groundhogs are the only rodent species that does routinely contract rabies. ﻿In other parts of the world dog rabies is a very serious threat to human lives. In Asia and Africa thousands of people die of rabies every year. North America has had widespread rabies vaccination for dogs since the 1940s. It is our compliance with mandatory rabies vaccination that has reduced our incidence of rabies in this country. 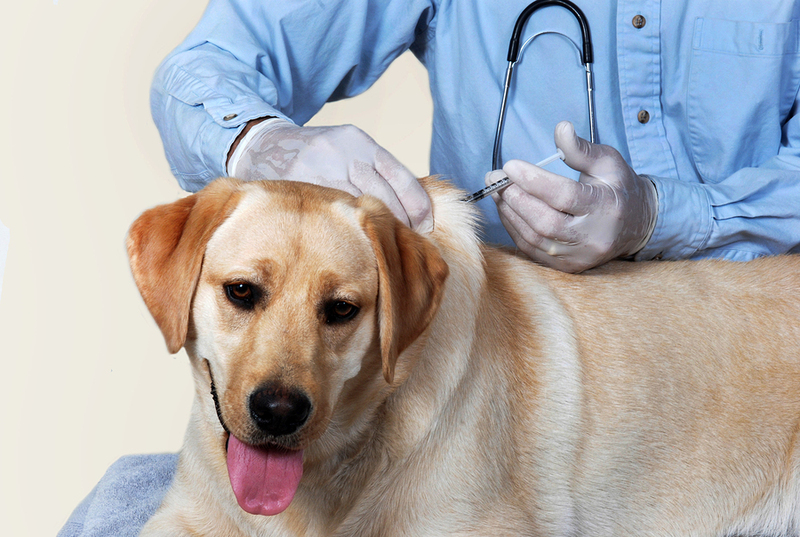 All dogs, cats, and ferrets must be vaccinated against rabies. There are no approved vaccines for wild animals. Raccoons, bats, foxes, and skunks should never be kept as pets or handled by children. Livestock species such as goats, cattle and horses can contract rabies, and can be vaccinated against it. Livestock normally contracts rabies from bats or skunks. Dead wild animals should be picked up by gloved hands and buried, incinerated or composted. Any animal that bites a person must be quarantined for ten days to observe signs of rabies. These signs would include personality changes, lack of appetite, unusual passivity or aggression, and staring vacantly. An animal that is killed following a bite should be taken to a veterinarian so it can be tested for rabies. If you are bitten by any animal that punctures the skin, you should see a physician.